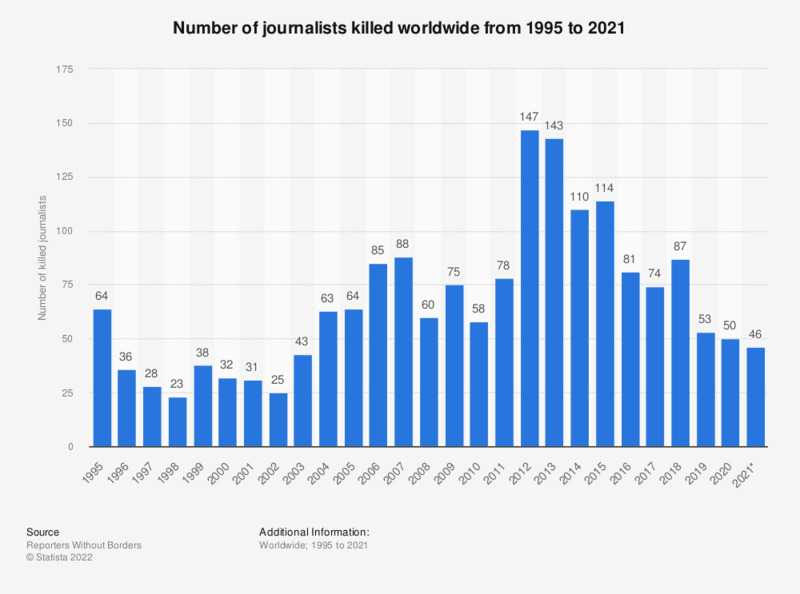 The statistic shows the number of journalists killed worldwide each year from 1995 to 2018. The report found that 80 journalists were killed worldwide in 2018. Everything On "Journalism" in One Document: Edited and Divided into Handy Chapters. Including Detailed References.